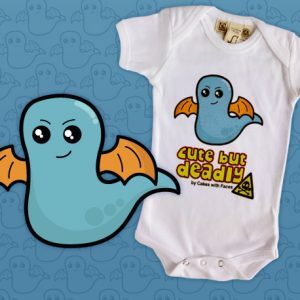 Pink monster baby grow – part of our Cute but Deadly baby grow range for little monsters! 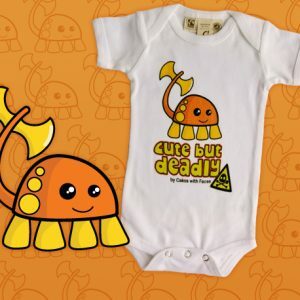 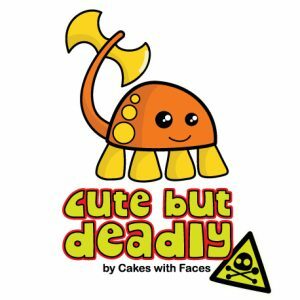 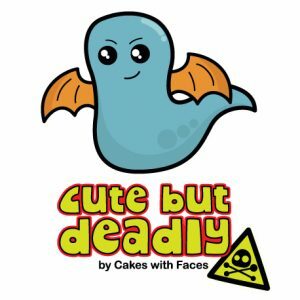 Because babies are definitely cute but deadly…. 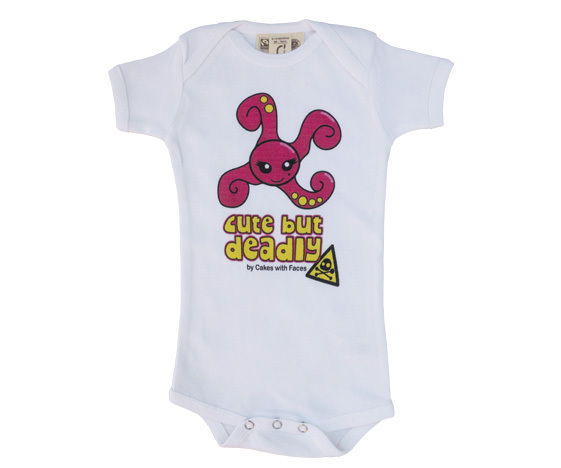 White baby vest with popper fastening, made of soft cotton for baby skin. 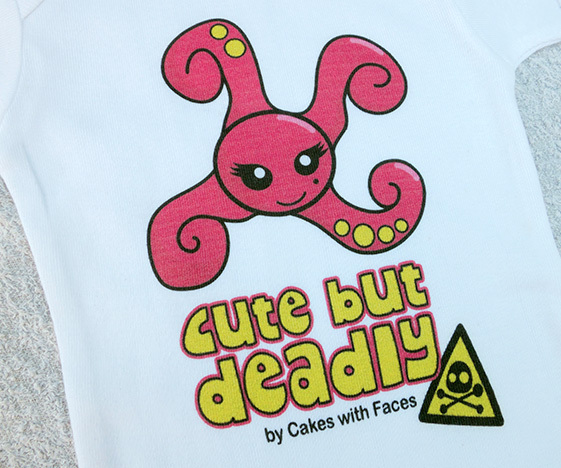 The print’s really soft – you can’t feel it on the fabric.